Here is a great Technical Tip on how to update your Mitsubishi manuals for IQ Works 2 through GX Works3 all in one go! These manuals cover current Mitsubishi PLCs (IQ-F, IQ-R, Q Series) and Mitsubishi HMIs (All GOT2000 models). This is a great solution to find all of your Mitsubishi Manuals all in one place and you can even search for something specific! CDL offers a wide range of Mitsubishi Software Packages, but some may be confused when choosing the correct software for their application. Mitsubishi’s iQ Works2 Software Suite takes the selection headache away. This powerful engineering management software solution integrates programming, design and maintenance software applications for Mitsubishi Electric’s automation platform. The result is one seamless engineering environment. So what is included in iQ Works2? MELSOFT Navigator – Project Management Tool. The Navigator enables the design of the entire upper-level system and integrates the other MELSOFT programs into a single workspace. This graphic-based configuration tool provides a visual representation of the overall system. Used to program the various Mitsubishi PLC’s including FX Series, L-Series and Q-Series. The latest Mitsubishi PLC programming and maintenance software used to program the iQ-R and IQ-F Series PLC’s. The simplicity and intuitive interface of this well-known software results in a short learning curve to help you get your applications up and running quickly and efficiently. 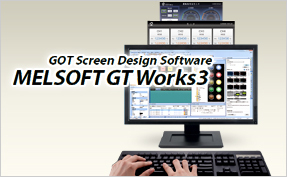 Graphical Operation Terminal (GOT) screen creation software. Create graphic screens in fewer steps. Motion control design and maintenance software which includes intuitive graphic-based programming together with a digital oscilloscope simulator. Simplifies setup and maintenance of Mitsubishi AC inverters. Parameters can be easily adjusted, and written to multiple inverters when replacing. The inverter PLC function can also be programmed from a single setup screen. Robot setup software for programming, commissioning, evaluation and maintenance of robot applications. The integrated 3D simulator is a handy tool which can be used to improve preventative maintenance of a machine. QnUDVCPU & LCPU Logging Configuration Tool – Data logging configuration software. Store and view collected device data on an SD memory card in CSV format. So, if you are in need of a complete software solution for a wide-range of Mitsubishi Factory Automation products, then look no further than iQ Works2. For more information regarding iQ Works2 or any other Mitsubishi FA product, then please contact the CDL Sales Team or Technical Support on 0116 233 9555. 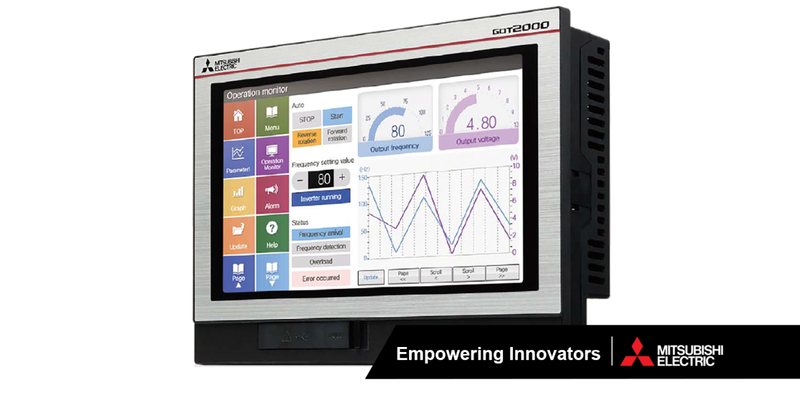 Mitsubishi Electric UK GOT2000 HMI Series promises improved user-friendliness, expanded functionalities, high cost-efficiency and optimum integration. Introduced in November 2013 at the SPS IPC Drives in Nuremberg, it replaces the present GOT1000 HMI range, but remains backwardly compatible, its panel sizes are identical and existing programmes can be imported. These enhanced HMIs deliver genuine perspective on the automation process and provide a platform to solve the typical production problems that drive down OEE. With their enhanced functionality, these HMIs provide additional features that will help to reduce downtime, enable fast recovery from simple errors, increase availability and boost production efficiency. Having inbuilt Ethernet communications means users can operate the GOT2000 remotely from a PC (VNC Server) or even from a tablet or portable terminal. An MES interface option enables the GOT2000 to transmit data collected from PLCs and other automation devices directly to higher level system databases, eliminating the need for gateway PCs or complex programming. The GT27 series which are the successors to the GT16 range are characterised by an intuitive operating concept with multi-touch function and gesture control. The HMIs from the GT23 series offer a balanced price/performance ratio. The GOT2000 series is designed to optimise operator control and monitoring of device and line status. The increased performance includes, advanced functions, seamless connectivity to other automation devices and intuitive programming and operation. The high quality graphics of GOT2000 series offer crisp well defined images whether enlarged or reduced in size, and it supports a library of outline fonts and multi-language formats. Selected models also feature tablet-like multi-touch gestures, and will also worked with gloved hands. Mitsubishi Electric is now offering its GOT 2000 IP67f without a USB connection on the white front panel for the first time in direct response to requirements from the food industry. GOT2000 includes connectivity with most popular automation equipment including Siemens and Allen Bradley. Please contact us if you would like a brochure or quotation. 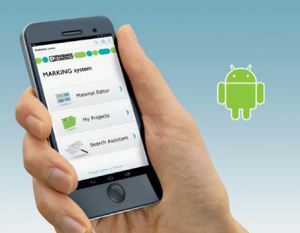 Phoenix Contact has introduced a new app for configuring and printing marking material using your smartphone or tablet. First you need to log into Google Play on a PC to check the compatibility of your Google registered device and if it is, you can use the new Marking System App on your android smartphones and tablets with Bluetooth connectivity. The great thing about this app is no prior knowledge of marking material is required, the search assistant will filter the options for Phoenix Contact and their competitors DIN rail terminal markers. On top of this, the product scanner can conveniently and quickly call up all possible marking materials for your application. All you have to do is scan the barcode on the packaging of your Phoenix Contact product to be labelled. Also included within the App is wire, equipment and plant marking. Having selected the appropriate template via the material editor, you can edit adding the required text or symbols. Once you have completed your template, you can save as a file and archive within a named folder. You can then print your jobs easily sent via a wireless data exchange to either the THERMOMARK card or roll printer. This has to be upgraded with the addition of the MINI FD BLUETOOTH, Phoenix article number 0830986. 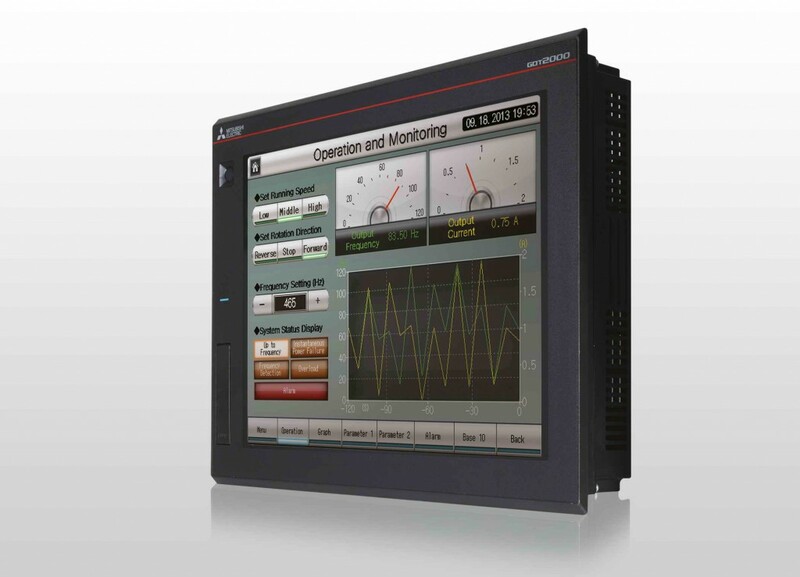 Mitsubishi Electric has raised the bar for HMIs with the GOT2000 series, designed to optimise operator control and the monitoring of device and line status. With vastly increased performance, advanced functionality, seamless connectivity to other automation devices, highly intuitive nature, tablet-like operation and high quality graphics, the GOT2000 series provides a range of models and sizes to meet the needs of the broadest spread of applications. With their enhanced functionality, these HMIs extend capabilities beyond monitoring and visualisation, providing additional features that will help to reduce downtime, enable fast recovery from simple errors, increase availability and boost production efficiency. In addition, a software HMI version, the GT SoftGOT2000, realises all of the GOT2000 features on a PC or panel computer. The GOT2000 offers seamless connectivity to Mitsubishi Electric automation devices such as PLCs, variable speed drives, servo drives and robots, simplifying automation system set up. Built-in Ethernet communication means users can operate the GOT2000 remotely from a PC (VNC Server) or even from a tablet or portable terminal. An MES interface option enables the GOT2000 to transmit data collected from PLCs and other automation devices directly to higher level system databases, eliminating the need for gateway PCs or complex programming. Furthermore, the GOT2000 comes with the “FA transparent” function that enables users to link from a PC through the HMI to any supported connected automation products. For further information or to receive a quotation, please contact us. Difficult learning, complicated programming and system configuration are now a thing of the past when it comes to machine safety. Flexi Soft by SICK makes it all so simple by using the intuitive and ergonomic programming software. With the Flexi Soft Designer, the entire project is programmed from beginning to end. The planning is done via the PC, and hardware is selected and combined to offer optimal amounts of inputs and outputs. All tactile and optical safety sensors can be attached to these modules in order to complete the project. Up to 12 modules can be attached to the chosen CPU and thereby up to 144 inputs/outputs can be used. Due to the individual and compact 22.5mm wide modules, the control cabinet only needs to house enough safety controller to match the application. Flexi Soft is a programmable, modular expandable safety controller by SICK. The main CPU module FX3-CPU is the CPU of the entire system where all input signals are monitored and processed via safety logic programs stored inside the CPU’s memory. These signals are used to switch outputs on the system through the FLEX BUS+ interface which interacts all units to one another. The FX3-CPU has an RS-232C interface allowing connection to the easy-to-use Flexi Soft Designer in order to upload/download projects and change system settings. 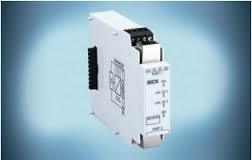 The RS-232 port can also be used as a permanent port to a PLC or HMI if required. The main module FX3-CPU1 has 2 EFI-connections on it. An input/output extension module FX3-XTIO has 8 safety inputs and 4 safety outputs. The input expansion module FX3-XTDI has 8 safety inputs. Application-specific: Bypass, Muting, Press, etc. Separate memory plug to save the safety controller’s configuration. To connect the Flexi Soft to an existing PLC, you can do this by integrating up to two Gateways. Usage of enhanced sensor functions through the EFI-interface. The EFI-interface (Enhanced Function Interface) is a two wire communication between safety sensor and controller. All EFI sensors connected to Flexi Soft can be accessed and programmed via the Flexi Soft’s RS-232 connection. The software incorporates a high quality diagnostic function delivering fast and accurate actions, allowing the user to make program changes or fix errors productively. So if you are after simplicity with a high-level of safety, from the integration of an Emergency stop, to the integration of optical safety sensors. 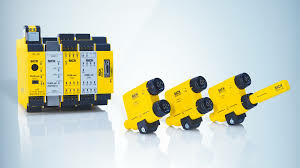 Or even the combination of entry/exit stations with entry protection, with the option of networking to complex machinery with minimal effort, then the SICK Modular Safety Controller is the solution for you! For a limited period only Mitsubishi Electric is running a special offer on the iQ Works & GX Works 2 software platforms. 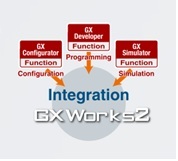 iQ Works software is the integrated engineering software suite which includes Melsoft Navigator, GX Works 2, MT Works 2 and GT Works 3. MELSOFT GX Works 2 represents the next generation in MELSOFT PLC maintenance and programming software. It’s functionality has been inherited from both GX and IEC Developer, with improvements made throughout to increase productivity and drive down engineering costs.